One of the most amazing things about human beings is that we would prefer someone else do the things that are not so pleasing rather than do them ourselves. Why don’t we go tell the neighbors their music is too loud? No, we would rather the police or some other neighbor do it for us. 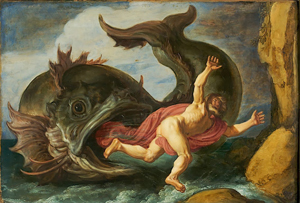 We are somewhat like Jonah, when the Lord asked him to go to Nineveh to tell people to change from their wicked ways. No, Lord—please send someone else, and by the way, these people need to be punished. But God’s mercy is extended to everyone, not just a certain few, and God uses us to achieve His objectives. In this Lenten season we are all called to be instruments of change, and that change must begin with us. If we do not experience change within, how can we change others? We need to let the lessons of Jonah be a catalyst of change now rather than later.